Your CV impressed your potential future employer, you got an interview call and now you need to do well to get the job. The job interview is when you should make a real impression. The employer has read your papers and thinks it is worth spending time learning more about you. Now it is important to make most out of this opportunity and prepare for the interview questions you may be asked. Of course, there are important basic things like getting on time and dressing properly, seeing people you meet in the eyes, have a steady handshake and be positive but you must also be well-prepared for the interview questions that are commonly asked during an interview. You only have one opportunity to give a good first impression, and your chances of doing so will increase if you are well read. There are some commonly asked interview questions and answers that many tend to overlook. One of these questions is – ‘Tell us a little about yourself?’ If you have not prepared for this question beforehand, it is easy to get caught up. Suddenly you are at loss of words, or you start a long chronological story. Instead, try to adhere to your professional experience and your education. You can then briefly talk about your family situation and something about what you do in your spare time and what interests you have. Make a summary of your life – focusing on the professional part. 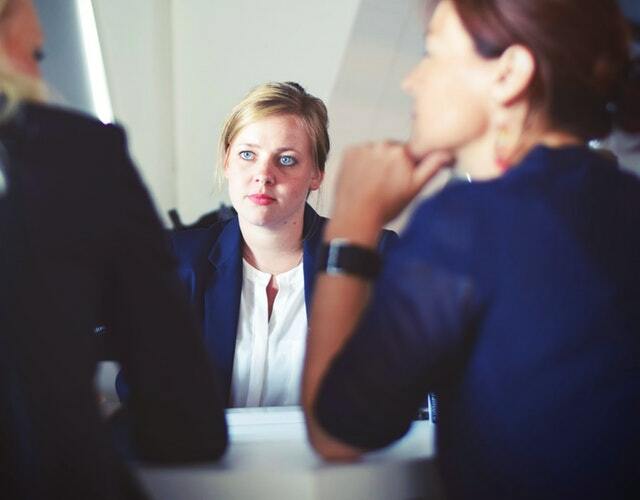 Another very tricky interview question that is commonly asked is – ‘Why are you looking for work here?’ Many people fail to give a satisfactory answer to the question and which often lead to their rejection even though they may be professionally qualified for the job. An employer wants you to come to them because you see a future in the workplace; that it is a place where you want to develop. Saying that you applied for 100 jobs and this is your last choice or that you don’t find your existent work any more interesting is, of course, no wise idea. To prepare well for this – one of the very important interview questions with answers – you must know that as in all parts of a job application – CV and the first letter – you should have read what the company does in detail and what they have for values. Then try to put yourself in that context. Focus on your strengths that would be an asset to the company and explain how you want to develop those strengths working with them. Show them that you very strongly believe that this is a good workplace for your future. As mentioned above, preparing for the job interview questions is a must. Besides the interview questions that you anyway should be well-prepared for, you must understand that employers not only look for skills and experience but also commitment and personal chemistry. Read the job advertisement carefully to nail likely topics that may appear during the interview as part of your interview preparation. Therefore, always have copies of all the classified ads you have replied to. Sometimes it can take anything from a few weeks to months before you are called to an interview. Thanks to these copies, you don’t have to rely on your memory alone when the interviewer asks you questions. Study the company/organization that you are going to have an interview with. The employer always appreciates when candidates can show that they have taken the time to find out more about the organization. Remember that every employer wants to feel special. The company prefers to hire candidates who would like to work for them than any other company. If you can tell about your reasons for why you want to work in this particular company, then you can distinguish yourself from the other applicants. Therefore, make sure to invest some time and energy in studying your prospective employer. One of the main challenges on how to be prepared for interview questions and answers, whether these are interview questions for internship or a full-time job, is to overcome your nerves. Learn deep breathing and always be prepared and confident. In fact, being prepared for an interview is one remedy that boosts your self-confidence in circumstances such as this. There are many tips and tricks that can help increase your chances of securing the job, but the key is how well prepared you are.